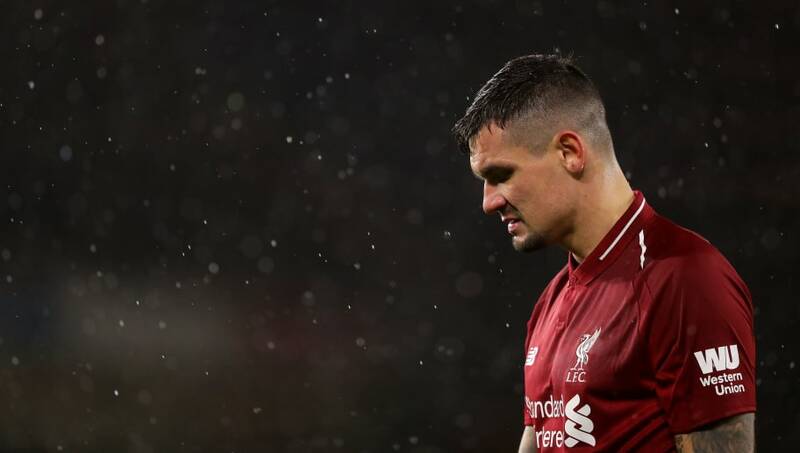 ​Former Liverpool and Republic of Ireland striker John Aldridge has highlighted Dejan Lovren as a potential liability for the Reds this season. The Croatian international has performed considerably below his usual standard for the Anfield club, unceremoniously conceding possession deep in his own area and making costly errors. He was rash in the Reds' first league defeat of the campaign against Manchester City at the Etihad, picking up an early booking before he was caught out of position, allowing Sergio Agüero to sneak past him and fire home the opener. The side have lost their last two consecutive matches, but former Reds striker Aldridge suggested that the club aren't yet in dire straits. He did, however, admit that with injuries to Joe Gomez, Joël Matip and now ​Lovren (who left the pitch prematurely due to injury in their defeat against ​Wolves), the side are in need of another top defender if they are to win the Premier League. As quoted by​ AnfieldHQ, Aldridge said: "This is not a moment for Liverpool to hit the panic button, but I would urge the club to consider making a move in the transfer market that could allow them to fit the final piece of a title-winning jigsaw into place. "Dejan Lovren was a weak link in the defence once again as Jürgen Klopp’s men lost their first Premier League game of the season at Manchester City on Thursday. And I suspect the Croatian will need to be replaced sooner rather than later if this team are to turn potential into success." Aldridge highlighted the impressive form and leadership displayed by £75m signing Virgil van Dijk, who joined the club last January, and hinted that the Reds need to target Kalidou Koulibaly as the ideal candidate to partner the Dutchman in the heart of defence. "We have seen the impact made by Virgil van Dijk since his £75m arrival last January and I wonder whether a move for a powerhouse defender like Napoli’s Kalidou Koulibaly could give Klopp’s side the bit they need at the back. "Top-quality opposition continue to get joy out of targeting Lovren, as he has a tendency to lose concentration and this is why I believe Van Dijk needs an A-list defensive partner."